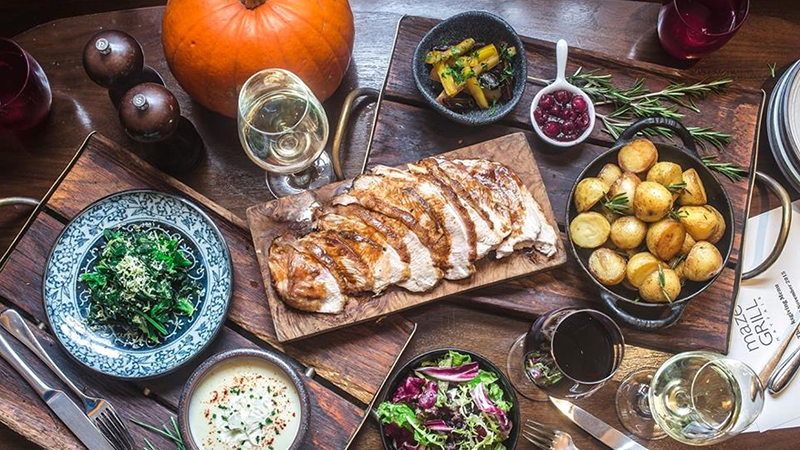 Whether you’re a homesick expat or just fancy a trial-run turkey dinner, here are 12 of the best London restaurants to book now for Thanksgiving. 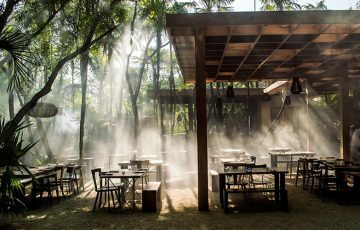 Maze Grill – Get your favourite people together for a Thanksgiving blow-out at Maze Grill, priced at £60 a head. It’s all served family-style so get ready to fight over starters like burnt end sliders and grilled cheese cornbread with maple-bacon butter. Their roast turkey comes with five sides, including grilled corn with chimichurri and bacon and turkey meatloaf, and there’s pumpkin cheesecake for pudding. The menu is available at the Maze Grill Mayfair, Park Walk, and Royal Hospital Road, so you’re spoilt for choice. This Thursday, families and friends across America will be celebrating Thanksgiving with a traditional feast of roast turkey, stuffing, and pumpkin pie. If you’re a homesick expat or just want to join in the fun, here are some of the best places to celebrate Thanksgiving in London. Bar Boulud, Knightsbridge – For £45 a head, diners at Bar Boulud can enjoy squash soup, followed by turkey breast and leg galantine with sage stuffing, sweet potato, and Brussel sprout fondue. Just be sure to leave room for dessert – pecan tart with vanilla ice-cream. Absurd Bird, Spitalfields – This east London eatery specialises in comfort food from the Deep South, so come hungry! Kick things off with family-style sharing dishes of spicy chilli and butternut squash soup or Mississippi Sin Dip (luscious layers of cream, cheese and ham) served with whole grain tortillas. For the main event, choose from Southern spiced turkey crown or smoked whole chicken. Turkey, stuffing, pies, oh my! It’s that time of year when we all begin to crave the seasonal taste of winter. 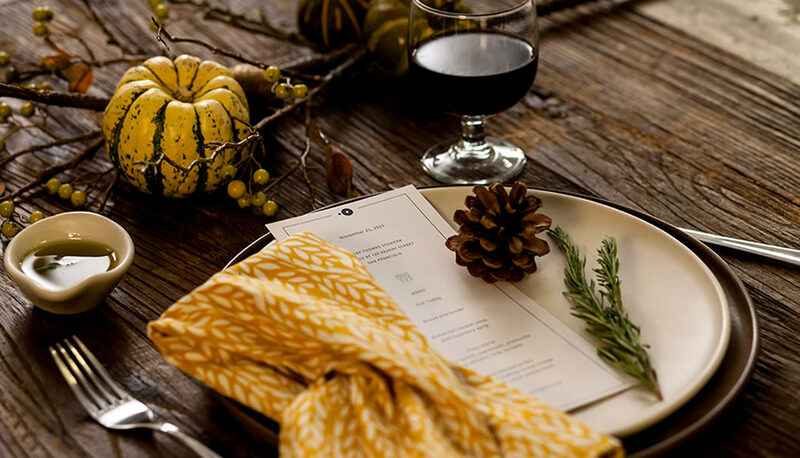 Lucky for us, menus have transitioned to reflect the bounty of autumn and winter vegetables such as squash, kale, pumpkin and the collective taste for heartier dishes. And for Americans, it’s that time of year when all these delicious flavours converge in one of the most cherished days of the year: Thanksgiving. 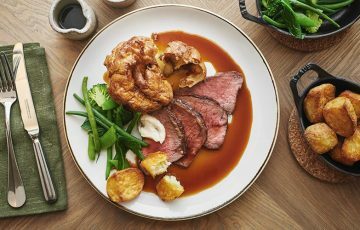 For expats yearning for a taste of home, or locals looking for an early taste of Christmas, there is an abundance of London restaurants offering traditional Thanksgiving menus and specials. 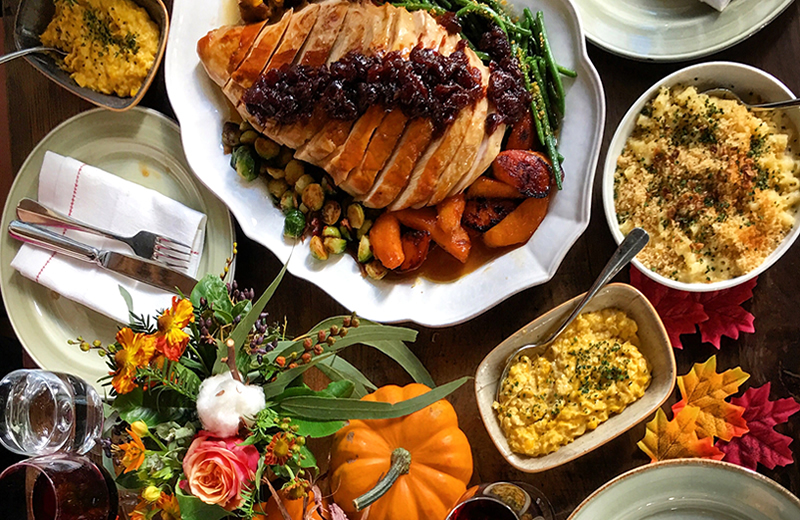 Here’s our pick of some of the best spots to enjoy a traditional Thanksgiving meal on Thursday and throughout the weekend. Just remember to save room for the pumpkin pie! 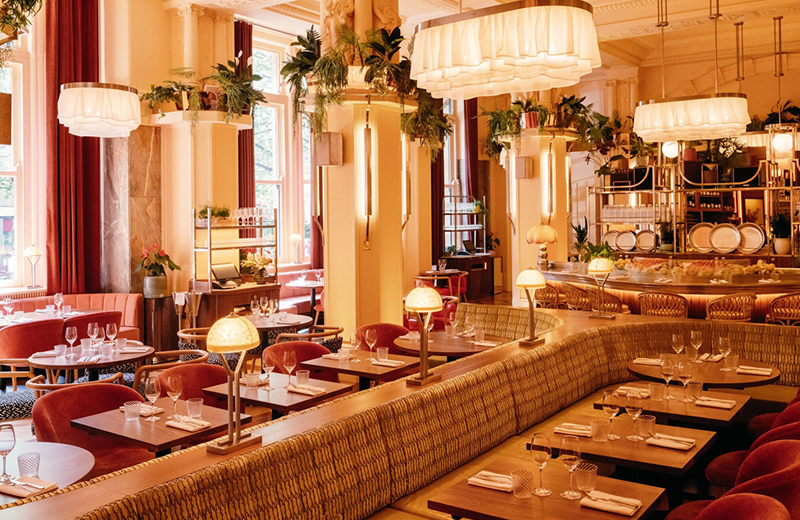 Joe’s Southern Kitchen (Covent Garden) – Offering a 3-course menu for £30pp. 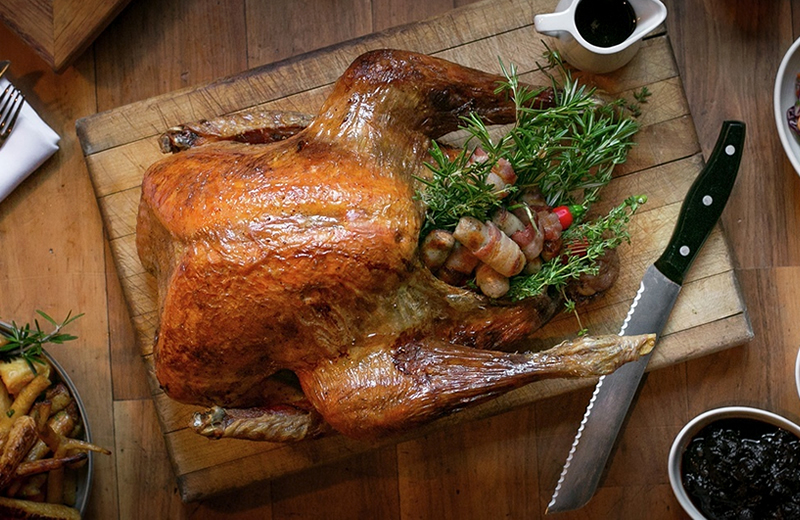 Don’t miss the star of the show: slow roasted Norfolk turkey with cornbread, sage and bacon stuffing. View the menu here. 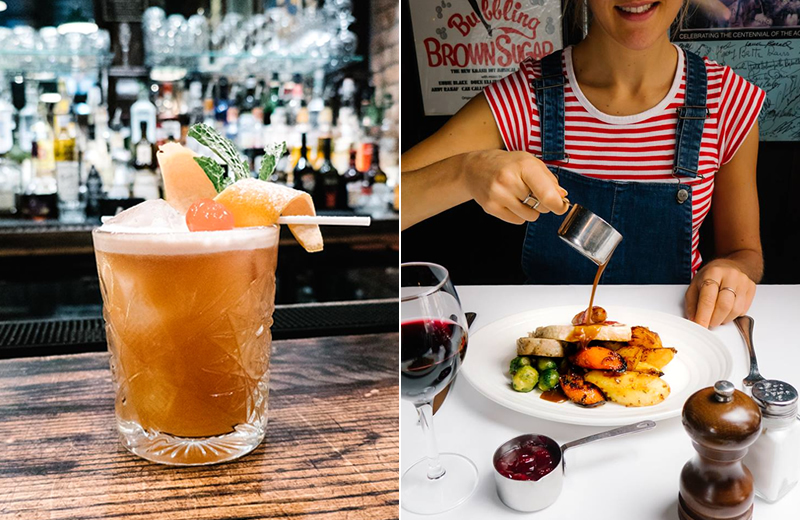 PJs Bar and Grill (Covent Garden) – Delight in a 3-course Thanksgiving set menu for £24.95 including a kir royal or prosecco. 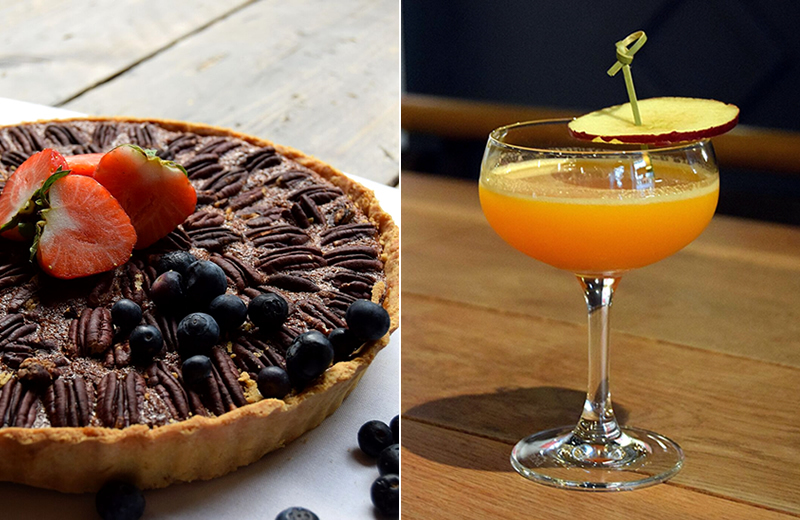 Beard to Tail (Shoreditch) – Fancy a taste of pumpkin but prefer something other than pie? Along with a tasty special Thanksgiving menu available until Sunday, the fine whiskey-loving folk of Beard to Tail are offering seasonal inspired cocktails including a “Pilgrim’s Pumpkin Priory” including Woodford Reserve bourbon blended with spiced pumpkin and honey served with a port fortified cream. Yes, please! View the menu here. 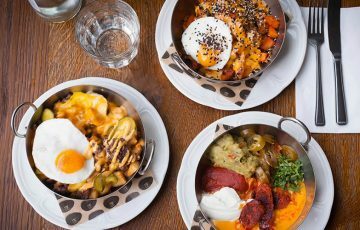 Far Rockaway (Shoreditch) – This newly opened NYC-inspired eatery is offering an all-American line-up including maple roasted organic turkey with yellow corn stuffing and roasted sweet potato for £38. 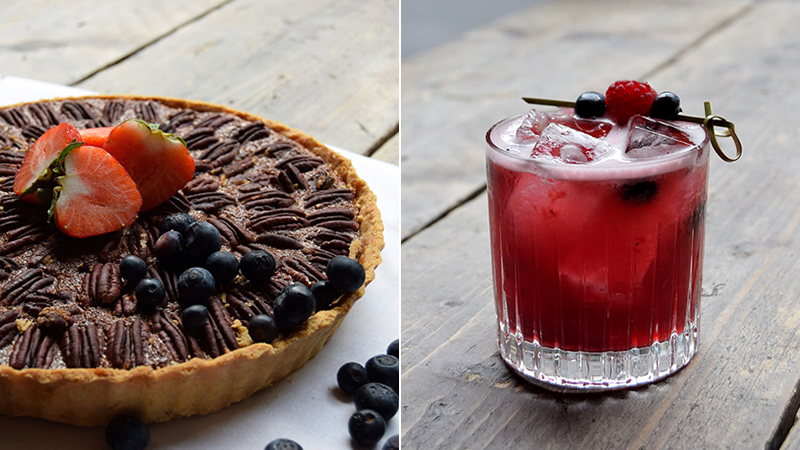 Duke’s Brew and Cue (Dalston) – Add a taste of the deep south to your Thanksgiving meal at Duke’s. On Thanksgiving, they will be offering seasonal specials including brined hickory smoked maple turkey with honey roast carrots, artichoke and garlic roast potato, bacon and leek stuffing, and popovers with homemade horseradish (£19.95). 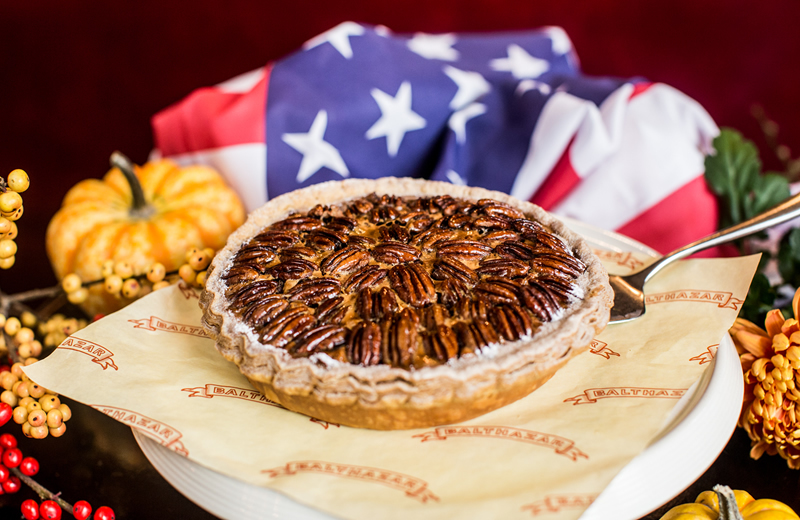 Top it off with bourbon pecan pie (£7.25). Check out the menu here. How will you be celebrating? 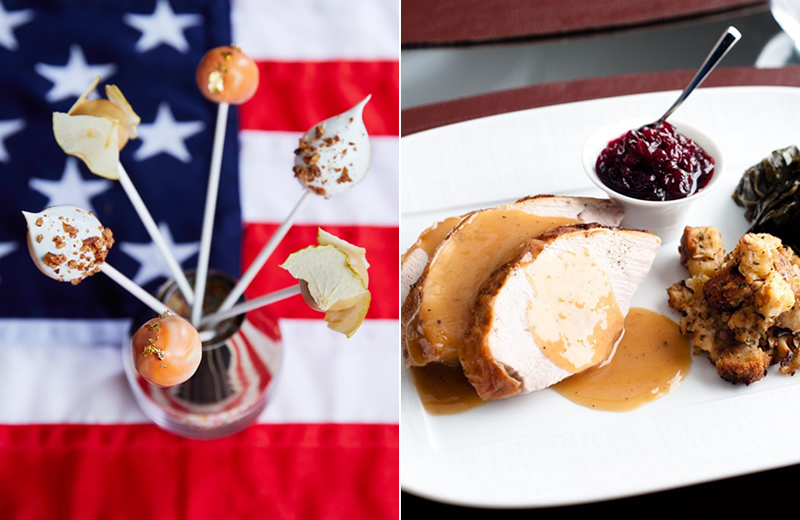 Share your Thanksgiving feasting pics and menus with us on Twitter or Facebook.